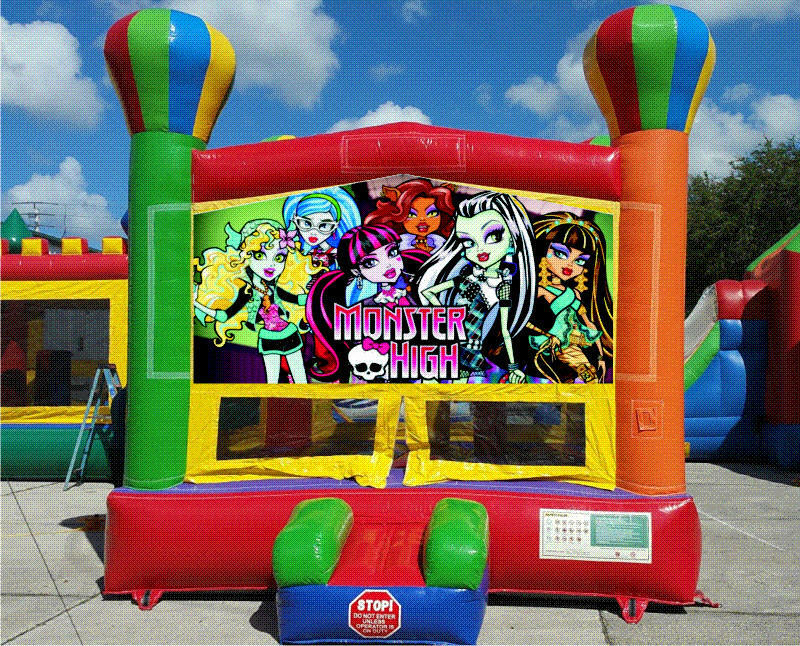 Monster Balloon Bounce House | JumpyKing.com Bradenton FL. 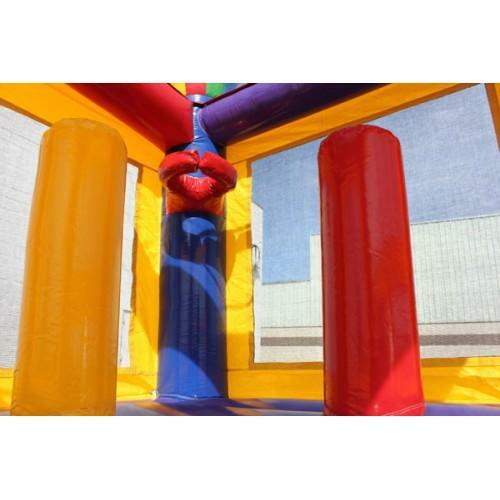 This Fun House Bouncer includes 2 pop ups and a basketball goal inside. The bold primary colors make it perfect for any occasion. Graduation parties, Fourth of July, birthday parties, and all other events. Built-in roof with emergency exit provide a shaded bouncing area for your summer party event.